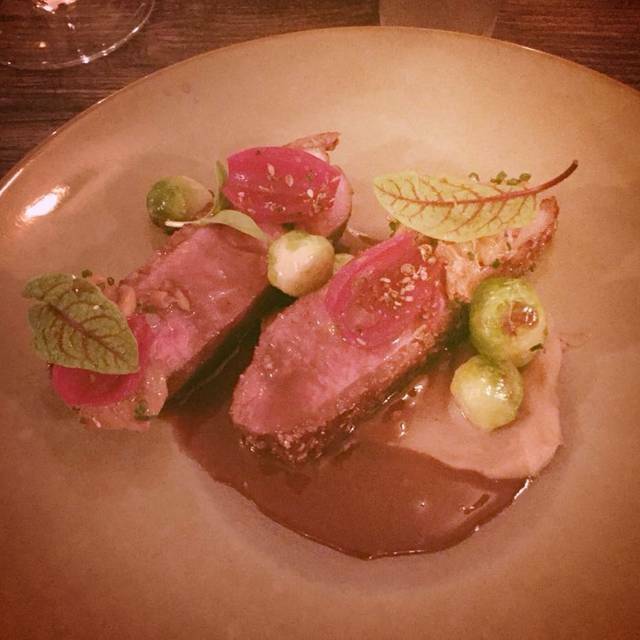 Will is a modern French inspired BYOB, located on East Passyunk Avenue in the heart of South Philadelphia. Chef and Owner Christopher Kearse, and his team, prepare a menu focused on its season, respecting French traditions along with classic and modern techniques to build a dining experience that evokes entertainment, excitement, and satisfaction. We serve dinner five nights a week. Dinner reservations are available Wednesday through Thursday from 5:30p.m. to 10:00p.m. Friday and Saturday from 5:30p.m. to 11:00p.m. We offer a four course Prix Fixe menu on Sunday evening from 5:00p.m. to 9:00p.m. Join us every 3rd Tuesday of each month for out ingredient focused tasting menu 5 courses $55. Will BYOB is closed on Monday and Tuesday dinner services. Whether you would like to entertain a select group of clients or host a reception throughout the entire restaurant, we offer a number of possibilites. For events of of guests or more please contact the reservation office. Metered parking is available on the Avenue and in a municipal parking lot between Tasker and Morris for 50 cents per hour with a three hour maximum and free two hour parking is available on side streets. There is also a Parkway garage on the NW corner of Broad and McKean Streets which offers secure parking just a few steps from the Avenue at affordable rates, including an evening rate of $5 after 5 p.m. Subway - Take the Broad Street Line to Tasker-Morris and walk two blocks east to East Passyunk Ave or to Snyder Ave and walk one block north to East Passyunk Ave. Bus - Take the Route 23, Route 29 or C Bus on Broad Street, which all cross East Passyunk Avenue. The Route 2, 37, 47 and 47m. Best dining experience in Philadelphia. This place is intimate, in all the good ways. Small with a dedicated and extremely knowledgable, personable, and professional service staff. The whole restaurant works as one to make you feel like you're in a truly special space. Chef Kearse is truly brilliant. 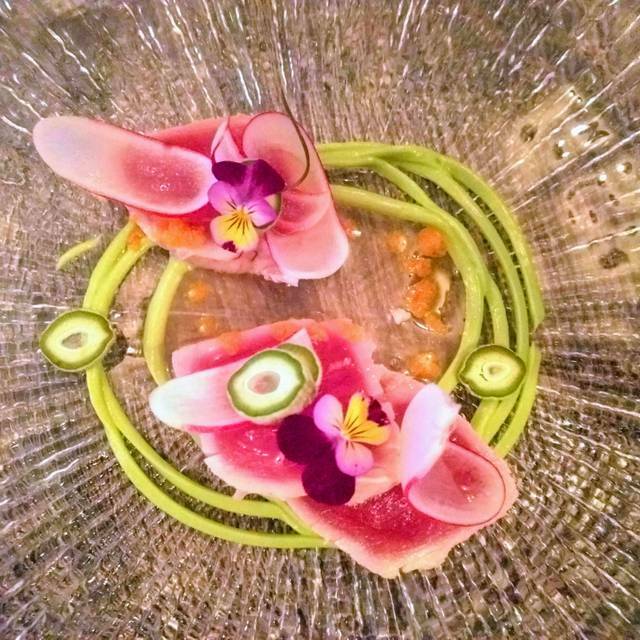 The dishes are beautiful, creative and perfectly executed. It was a great night. Our server Ben was attentive and fun! We went to the Sunday tasting and the food was amazing! As always the food is inventive, delicious and inspiring! The wait staff is attentive without being over bearing. I had the snails in a burgundy sauce over polenta with garlic crisp that was perfect! I'm not usually adventurous but it was wonderful! 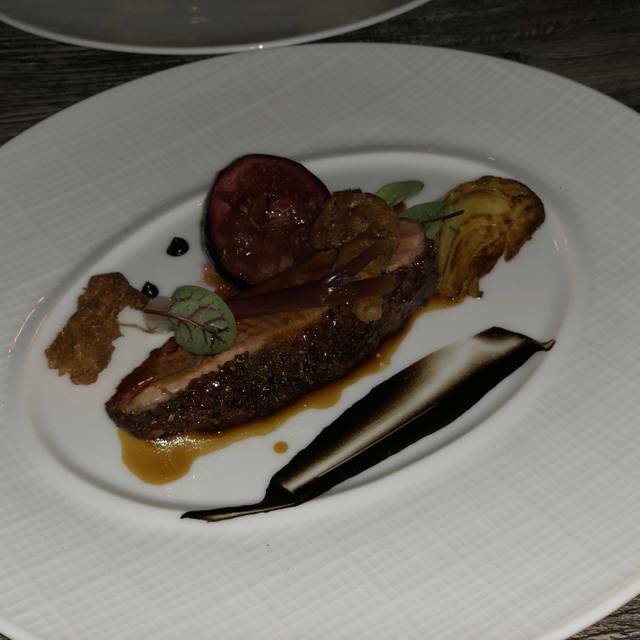 I also had the duck breast with the confit and it was perfectly cooked. Both were tender and not chewy or stringy. The shallots used were especially tasty. My husband had the Fois Gra & the gnocchi. This restaurant consistently presents a great meal! My husband had a cold and could still taste everything well. What's also nice is that as a BYOB, you can bring your own great wine without being up charged! As always, Will did not disappoint! Spectacular food and service, as always. I love this place! I've been wanting to go for years and finally did. It's so nice to go to a place where classical techniques are still respected. Everyone who works here takes pride in what they do and it shows. This place is not cheap but it's worth every penny. It helps that it's a byob; you can bring a really nice bottle of wine and not have to pay a fortune for the perfect complement to your food. A “go to” choice of mine for any occasion. The staff is engaging, knowledgeable, and happy—-yes, they want you to enjoy your food and experience! The menu is creative, diverse, and satisfying—-which you should expect when it comes from the best Chef in Philadelphia.! The plates are artfully prepared with layers of complexity and the freshest of locally sourced ingredients, specific to the season. In my opinion, Will BYOB is the best deal in town! Went for my boyfriend’s birthday and the experience was incredible! 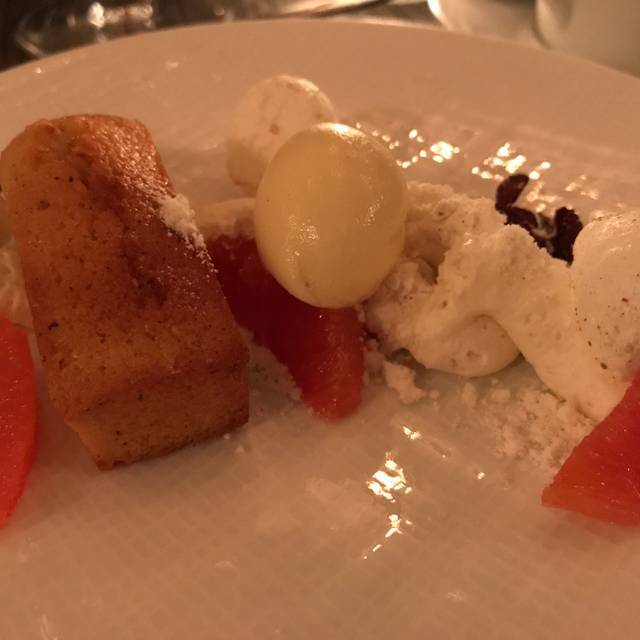 The food was creative and delicious and the staff was super helpful and accommodating! Our server was outstanding and very knowledgeable about each dish. He made us feel very welcome and made our experience enjoyable. Was expecting more from all of the hype. We went for the prix fixe Sunday night dinner It was a quiet evening, as Sundays tend to be in the summer. I was a little disappointed that the soft-shell crab entree was substituted with a skate wing but it was exceptional! Everything dish wonderful bursts of color and flavor! Can't wait to go back. Food was fantastic, but the noise level was completely unacceptable. I would not return because of the extremely loud environment. definitely a must for anyone who appreciates either creative cuisine or just good delicious food. We've been to Will BYOB several times, and every time has been a pleasure. The restaurant is small, with very few tables, so make a reservation. And be prepared to be surprised by the food. It's better than it sounds on the menu (and the menu looks delicious every time we go), and the portion sizes are reasonable, not the outrageously huge amounts you're given at many places. The service is friendly and casual but professional. I can do nothing but rave about this place. Will BYOB is our favorite restaurant in Philly! The food is amazing and the service is impeccable! Every course is a visual masterpiece! Each dish is made with fresh local ingredients that mingle the most interesting combinations of flavors. We especially love the soup either hot or cold it is always scrumptious! 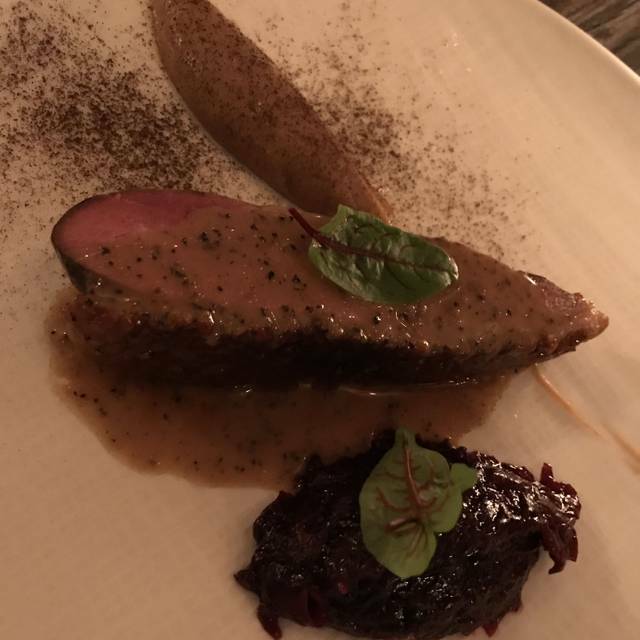 We have eaten at Will BYOB several times and it is consistently superb! As always, the food was exceptional. We had the tasting menu and each selection was delicious. Standout: the most flavorful soft shell crab I have ever had. Thanks! I don't usually write reviews but thought I should do my part in this case as I diverge from many prior reviewers. The spot is lovely and everyone clearly cares about what they are doing. The menu descriptions and ingredients are creatively original and the presentation is lovely; however, I think that the actual taste of the food, though adequate was far from great. Whether the marriage of ingredients could have been better or the proportion or the lack of great seasoning, I can't say but there were no moments of "wow, this is delicious"
The last time I went it was incredible and struck me as an outstanding value. 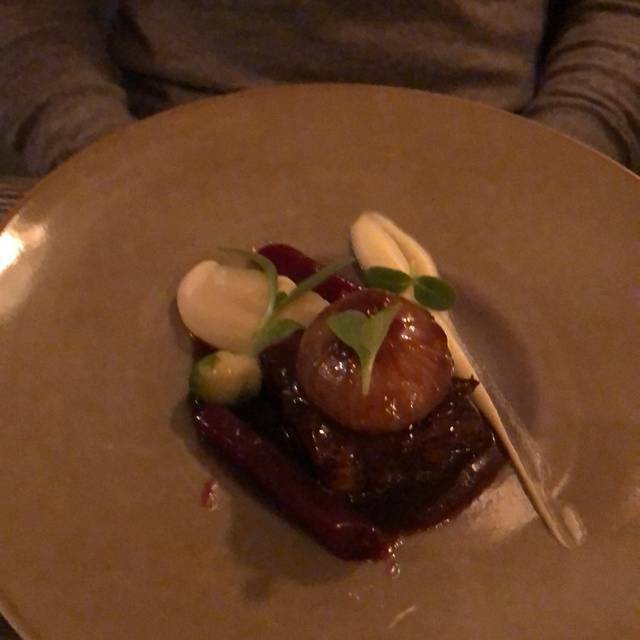 The lamb shank was melting off the bone and everything was VERY GOOD, but last time I went I would have put it on par with Bibou, but at a fraction of the price. Next time I go, I'll do the tasting menu again and have my uncle choose wine and beer to pair with each course. I realize this is a small place, but to be seated right next to another couple where I can literally smell their food was a bit much. There were 5 other empty tables available in other areas of the restaurant. We wanted to enjoy a date together but couldn't because there was absolutely no conversational privacy. Additionally, the food was creative and inventive but lacked finishing touch. There may be no better value on the east coast than chef Kearse’s food. Plain and simple. Well sourced, seasonal ingedients elevated in their plating but allowed to shine through and temain the star of the show. A must when in Philly! Celebrated a birthday here. Very much appreciated the personalized touch to our menus. We went on Sunday, which is when they serve their prix fixe menu that served dishes that are not always on their a la carte menu. Food was delicious. Staff was very attentive. The room can get a bit loud, but the noise level is manageable. Nothing but excellent things to say about this place. General Manager called us prior to confirm food allergies or issues (if any.) Upon arrival, same person repeated discussion just to reconfirm. Incredible service, definitely felt special to be there. Meal was fantastic, super creative and very very tasty across the board. Delicious courses beautifully crafted and presented. The restaurant itself is very small and intimate. Very attentive, but not intrusive wait staff. Perfect for a date or special occasion. Wonderful meal; terrific service. Greatly enjoyed the evening. Delicious food and wonderful service. Appreciate the creative menu. Very, very nice! Absolutely one of the best dinners we've ever had. We went for the Ramps dinner. From the amuse bouche to dessert, everything was beautiful and delicious. Great service and lots of special treats. Can't wait to go back! Outstanding all around! We were there for the single-ingredient menu, which this month featured ramps. Every course was phenomenal—same as every time I've been there. 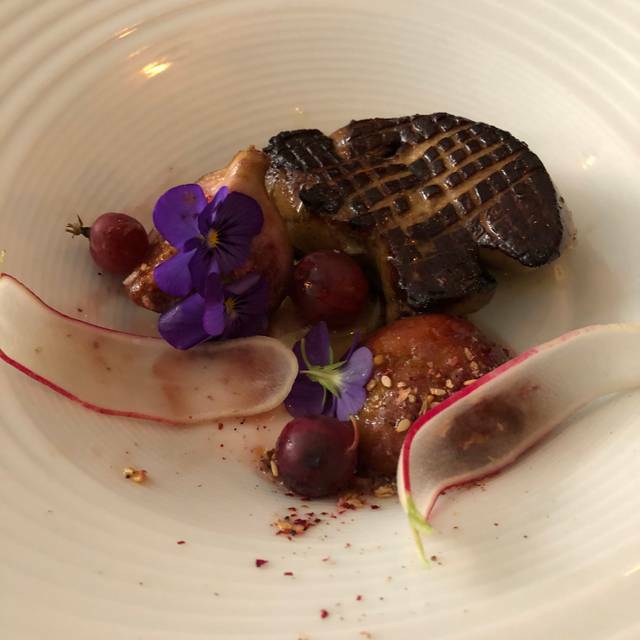 Chef Kearse consistently turns out delicious, inventive and gorgeous food. This place is a gem. The food was delicious and creative. The only part of our experience that wasn't wonderful was that we didn't know that the night we were there was a pre fixe only night, so we had no a la carte choices. A culinary experience! The Chef’s menu offered opportunity to try something new. Be open to new tastes and textures. While the food presentation was beautiful, the taste was even better! Having a gluten allergy wasn’t a problem at all. The chef and servers all were knowledgeable and very helpful. 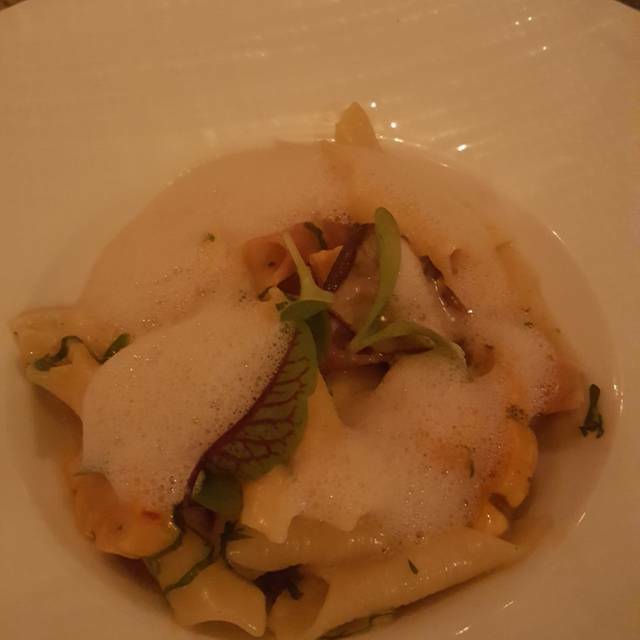 Service was fantastic, however was disappointed going on a Saturday when they usually offer their a la carte menu and being told they only had a $65 prix fixe that night (without it being advertised on website or social media). Having never been to the restaurant, i had saved up a little extra money (as the restaurant is more on the expensive side) and I was excited to choose from a few apps and entrees that I had had my eye on ahead of time. Instead we were left with very few choices, and a little disappointment of the ones that were offered (compared to expectations and word of mouth from friends and family) and with a doubled check price. I have no problem with prix fixe menus however was not as was expected as advertised. Good food and lovely place otherwise. WOW! 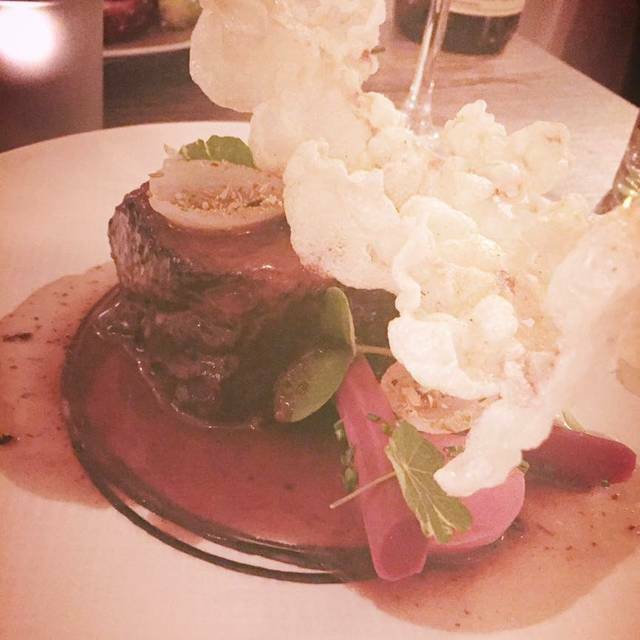 My husband and I went out for our anniversary and had an amazing 5 course tasting dinner. We loved everything we had..... the time and attention to detail showed in every dish from the appetizers to dessert. Chris the owner and chef is to be commended! Everything about Will BYOB is excellent! We love be the food and the presentation. Chef Chris Kearse is an artist and we appreciate his art!!! The service at Will BYOB is impeccable! The staff were all warm, friendly and knowledgeable. We enjoyed the tasting menu which was incredible! Definitely a treat for foodies! We are very much looking forward to our next visit because the menu changes often with fresh ingredients.